If you are looking to get your child to have better penmanship and enjoy writing and learning how to write, this Horizons handwriting program is a great program to incorporate in child’s day. This curriculum is made available by the award winning Alpha Omega Publishing Company. This Bible-based writing curriculum not only helps with handwriting, but it also integrates spelling, vocabulary and enhances your child’s writing ability. 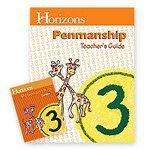 The Horizons Penmanship is a supplemental course from the Horizons curriculum. Horizons is a workbook based curriculum that uses brilliantly colored illustrations that captivate your child and use enhanced learning techniques. There are plenty of hands-on activities and the lessons are fast paced and rewarding. This Homeschool curriculum course will help your child maintain correct and legible handwriting by using the process of introducing the letters, reviewing the concepts and what was taught and then by reinforcing the method through handwriting practice. All of this helps your student to retain concepts while still incorporating a colorful, fun atmosphere. This specific course can be used with the entire Horizons workbook curriculum, or you can use it as a supplemental class for your student. The workbooks are geared towards your 1st through 5th grader and begins by teaching your child how to form the letters properly. 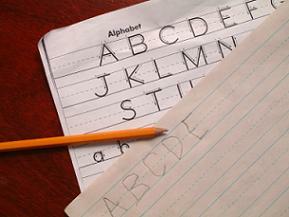 In this format, your child will learn to use both cursive and manuscript writing. As your child is learning how to write and improve their writing, biblical truths will be woven into practical and easy to understand lessons. Each workbook is filled with colorful illustrations and that are packed with fun activities to engage your child in learning. The Horizon Penmanship curriculum takes the time to explain to your child the benefit of legible handwriting. Many programs out there just do repetitive activities with no real purpose! The Horizons curriculum is known for its easy to use and understand Teachers Guides. Each Horizon Penmanship set includes the teacher’s guide as well as the answer keys and extra handwriting practice pages that are reproducible. You will also find a daily lesson planner and many guidelines for practical instruction. With all of these materials at your disposal, your child will have the benefit of learning to write cursive with positive reinforcement from you as well as the encouragement of a great curriculum. If you are looking to teach your child to write, or improve your child’s penmanship, than this could be the curriculum for you. During each lesson, your child will learn a Christ-centered lesson while reproducing beautiful printed and cursive letters. These lessons can be written on beautifully adorned paper that your child can tear out and assemble into their very own book. Your child will strive to do their best when displaying their work and you will love that their handwriting improvement! Have You Used This Handwriting Curriculum? 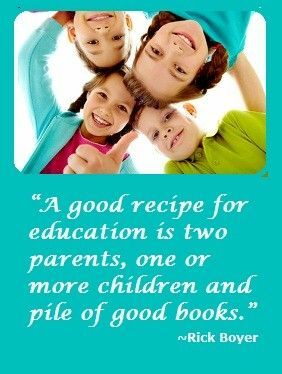 Help other homeschool parents! 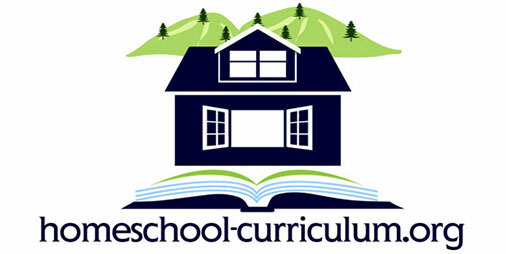 Submit a homeschool curriculum review now!